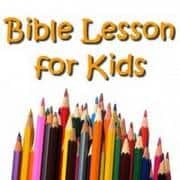 Kids Bible Lesson on Obedience "children obey your parents"
Here is a lesson plan on the Bible verse that says children obey your parents. I wrote it for a chapel service at our Christian school. There were about 40 kids from preschool to 5th grade in the room. Because the children have a strong background of Bible knowledge I wanted to focus on heart application. The whole lesson is build around an extended object lesson about obeying your parents. About 7 years ago, I read about the circle of blessing concept in Ted Tripp’s Shepherding a Child’s Heart. I worked the idea into a family devotion and my oldest son still remembers the demonstration. This lesson plan would be ideal for a children’s church or Sunday School setting. Families could also use it at home in devotions. Like all our resources, you are free to print it out and use it as you like. After this lesson, children will demonstrate an understanding of the “circle of blessing” concept by responding to agree/disagree questions as a group. After this lesson, children will demonstrate a new desire to obey their parents, by picking one action they can do differently. Circle of about 3ft diameter. I used a piece of rope attached to the floor with masking tape. A large hula-hoop would also work. 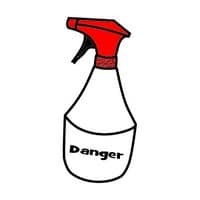 Squirt-gun or plastic spray bottle. You could use a sports whistle to add optional emphasis. Gospel Connection: Both kids and adults fall short of this command. Our hearts have not always given the honor and love to our parents. The grace of Jesus allows us to return to the circle of blessing through repentance and faith. Jesus took the punishment for our sins and can grant forgiveness for our former disobedience. Kids (and parents) must trust in the goodness of Jesus in our place – that’s the ultimate circle of blessing. Optional: Download our free obedience coloring page to use with this lesson. Getting Attention: Set up the circle and a few of the props while the children are watching. Do not make any comments except to say how excited you are about today’s lesson. The children will build interest and excitement to match your own. Active Listening: Before you read the Bible verse, ask the children to listen carefully for the answer to these question. “What can I do to make my life better? What could I do to make my life worse?” For added emphasis you could display these questions on a marker board or poster board. I chose red colored for the negative and yellow for the positive question. what if they tell me to do bad things? because of sin, parents have sometimes asked their children to do things that are wrong (i.e. abuse or lying to hide abuse). In children are unsure, teach them to ask other trusted adults for help in knowing what to do. This is the circle of blessing. It’s a way to imagine the way obedience keeps us out of danger. Just like our Bible verse says, God will watch over us while we obey our parents. To move outside the circle is like disobeying. Moving outside the circle brings danger. When we obey our parents it’s like staying inside the circle, God will keep us safe. But when we disobey it is like stepping outside the circle. When we do that we cause bad things to happen to our lives. Circle of Blessing Case Stories: Ask for a series of volunteers to model the following scenarios using the circle of blessing. Have the child stand in the middle of the circle while you tell the story. Move them outside the circle as the character in the story clearly disobeys their parents. Pretend like you are talking about the child who has volunteered. At the marked parts in the story ask the class to respond if the person is still in the circle or not. After each repeat the main concept that obedience brings safety. Hint: Be sure to pick children who won’t be upset by getting a little wet. I even ask the volunteer if they will cry when they get sprayed. Obviously, this should be a silly activity and fun for all the children involved. What do you think might happen next? Allow a few responses from the children. After each answer give her a little squirt from the water. This should be funny when it happens. Some possible answers: The horse could bite, or the owner could be mad, or she could be hurt by a car driving too fast down the road. Then say: all these things are bad things, but Kristy could have avoided them by showing obedience to her parents. What could she have done better? Move her back into the center of the circle as they tell you. What do you think might happen next? Allow a few responses from the children. After each answer give her a little squirt from the water. Some possible answers: He will get ground, he will get a bad grade on his report card, he will not be able to get into college, he will always over tip at restaurants, he will get away with the lie and it will become a habit he can’t stop. After each answer give her a little squirt from the water. Then say: all these things are bad things, but Bobby could have stayed safe by obeying his parents. How could he have shown obedience? Move him back into the circle to visualize obeying your parents. What do you think will happen next? Allow a few responses from the children. After each answer give her a little squirt from the water. Some possible answers: The kids would laugh at his grandfather when they saw him at church, his parents would be hurt that he was making fun of their grandfathers suffering, his friends might think it’s ok to make fun of older people, he might get into the habbit of mocking people. Then say: all these things are bad things, but what should Joey have done to make his life better. Move the him back into the circle as the children tell you what the obedient action would have been. What do you think will happen next? Allow a few responses from the children. After each answer give her a little squirt from the water. Some possible answers: It was her dad’s lunch money for the next day, she could get sick, her mom would find out and she could get grounded, she would get into the habit of sneaking & stealing. Then say: Those are terrible consequences that she could have avoided by obeying her parents. What should she have done. As they tell you the right choices move the child back inside the circle. Agree / Disagree [understanding test]: Have the children respond as a group to the following questions. If the statement is right they should stand up, if wrong they should stay seated and cross their arms. Closing: Lead the children in prayer thanking God for our parents. Ask for new hearts that help them obey. One reader took this object lesson and used it as part of his sermon on the 5th commandment. I love the way he connects this teaching moment with the Gospel message. You can watch a video of this below. I really love this lesson and have decide to use it for my lesson in children’s church. Thank you so much for your great ideas and passion of making Sunday school and bible lessons fun and exciting for kids. 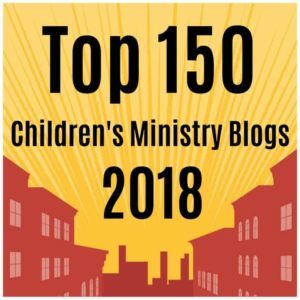 I have started up a children’s ministry in our church and have been truly blessed with this site in helping me prepare my lessons. Thank you so much for this lesson. It was a blessing to me and I know it will be for the children today. The Lord had put obeying your parents on my heart to teach. And finding this lesson with the scripture we’re using is awesome. I’m excited to see more of your lessons! I can almost see the excitement of the kids! This examples was great! Thank you so much, this has help me create a lesson for the Children class. Hello! I am Jeny, from Cebu, Philippines. Thnak you so much for this.. I am about to use this lesson tomorrow morning at church’s children sunday school.